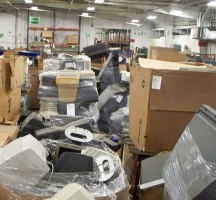 General Motors is taking a regional approach to boosting recycling infrastructure, looking first to the Southeast United States. The DEP has awarded $17.8 million in recycling grants to 131 municipalities and counties for developing and implementing recycling programs. 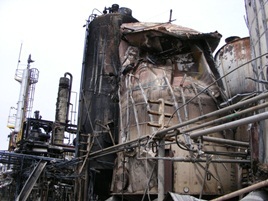 Operations at West Carrollton successfully resumed during 2012 with a transformed process safety mission. Lessons learned from the events in Ohio are now being applied to the safety programs at the other five PSM-covered facilities. Can Environmentally Friendly Electronics be Possible? Researchers from Istituto Officina dei Materiali at CNR and of the International School for Advanced Studies of Trieste (SISSA) have created a new ferroelectric material, called diisopropylammonium bromide (DIPAB), which may be the answer to creating more environmentally friendly electronics. The EPA has awarded nearly $50,000 to two Puerto Rico organizations, Leaders of the World and the Scuba Dogs Society, to educate low-income communities about effective waste management, recycling and the negative effects of improper waste disposal on people’s health and water quality. Researchers from the University of Jaen (Spain) have created a new way to mix paper waste with a ceramic material in order to make bricks, resulting in a durable product that can act as a good insulator. America’s second Annual Environmental March Madness Tournament is now open for entries and will evaluate environmental academic programs and sustainability practices used by colleges and universities across the nation. 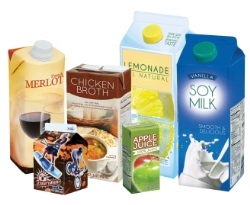 Forty percent of U.S. households, about 46.7 million households, now have access to carton recycling. Just three years ago, household access stood at 18 percent. The EPA has decided to issue $380,000 in grants to New Jersey and New York for projects that will help prevent pollution across the two states. During this holiday season, people can use ecofriendly artificial logs made from grass clippings to create a warm and welcoming blaze in fireplaces. Liberty Tire Recycling announced its nationwide partnership with The Hertz Corporation to recover and recycle scrap tires form car rental outlets.